Angel Athena is Giving Away Special Gifts for the Mother's Day! The Mother’s Day is around the corner, it is the day for us to celebrate the love, feelings and emotions attached with our dearest mother and make her feel as special as humanly possible. LOA II wish you spend a happy and memorable day with your mother! As the embodiment of love and protection, Angel Athena has prepared a special Mother’s Day Store with hot mounts on sale, as well as exclusive FREE GIFT packs to all our warriors! 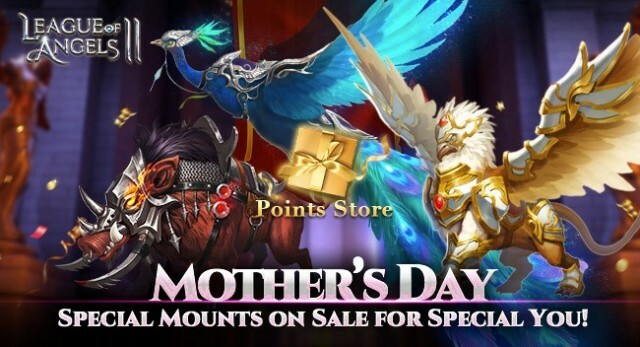 From May 12th to May 14th, the Mother’s Day Store will open with the Special Mounts Sale, which includes many hot mounts like Nocturnus, Mayura, Aviatrix, and so on. Don’t miss this chance if you want to claim any of them in a favorable discount! 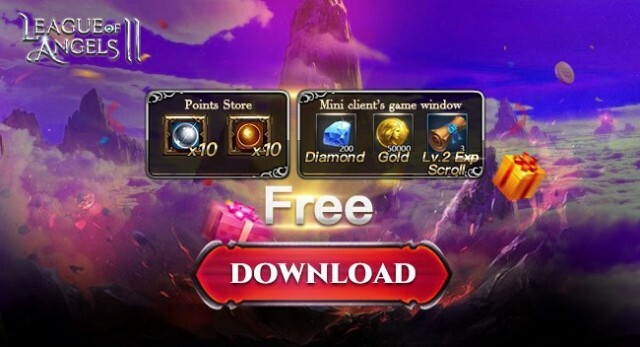 To celebrate this special day, Angel Athena is giving away FREE GIFTS to all of you, redeem the activation code “2ZH2MGQR4KQG4T4HZW” before May 17th to get an unprecedented rewards including Small Mythic Hero Supplies*20, Mini Eternal Chest*20, Bless Stone*1000, Enchantment Stone*1000, and Astral Ingot*1000!! LOA II wish you a very joyful Mother’s Day with your family! Besides, during the Mother's Day, LOA II players on GTarcade Mini client will have the opportunity to get gifts package on sales and rare mounts! Download now! While playing games and recharging G Coins on GTarcade Mini client, you can get extra Points which enables you to purchase limited in-game resources. To celebrate the Mother's Day, GTarcade Mini client has got four time-limit gift packages for you with three exclusive mounts: Mayura, Storm Griffin, Wild Tusk . After redeeming, the item will be sent to you by mail in LoA2. Use it to permanently increase your BR! Last：New Mount Magmadon Comes with Fiery Magma!